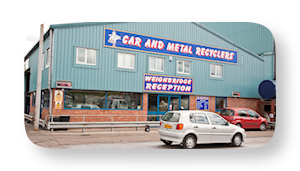 Car and Metal Recyclers (CMR) is part of the UCS Group which also includes The Engine Export Company Ltd, Part Worn Tyre Warehouse and Repairable Vehicles Ltd. The UCS Group has been established for 20 years. CMR is widely regarded as one of the South's most modern and professional metal recyclers. The Company has grown and invested heavily over the years to provide a first class service to all of our customers. We pride ourselves on the fact that we have managed to retain the core family values that our business was built upon, and have improved the working conditions and standards to which all our staff, many of whom have been with us for years, work. We ensure that all our staff are individually trained up to current standards so no matter if it is scrap vehicles or metal which arrives at our ATF (authorised treatment facility), whether from local authorities, police, insurance companies or the general public, you will know that it has been treated with the best practice and in accordance with UK legislation.